Featured here are products design to help the airsoft player intending to fulfill the role of "marksman" on his team. 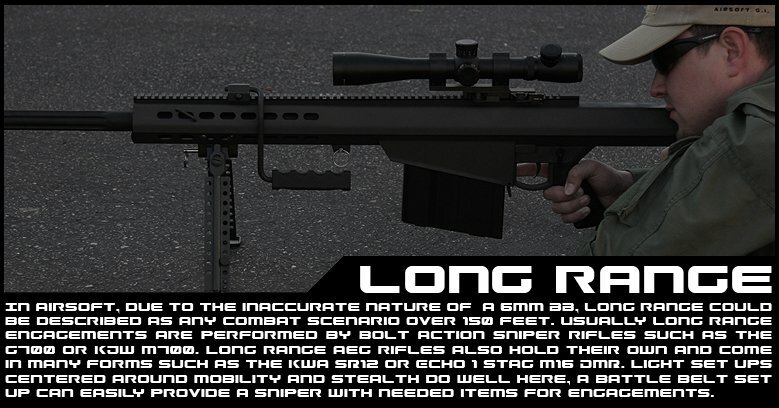 Typical engagement distances will reach in the extremes possible for airsoft BB's, which is consider about 150 feet and beyond. At this point, every little upgrade or advantage that allows for more range and accuracy becomes paramount in having the advantage over the opponent.